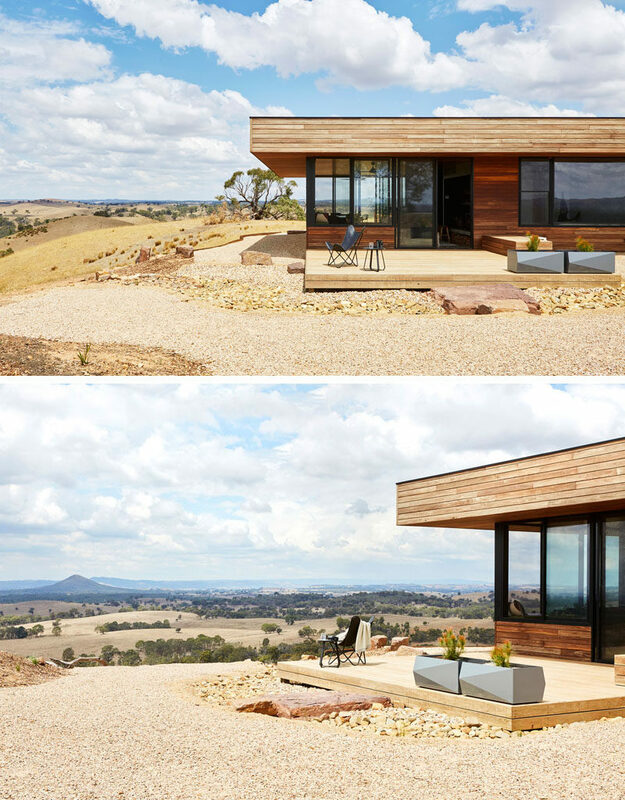 Ben Callery Architects has completed the Elemental House, a modern single storey house that’s located an hour north of Melbourne, Australia. 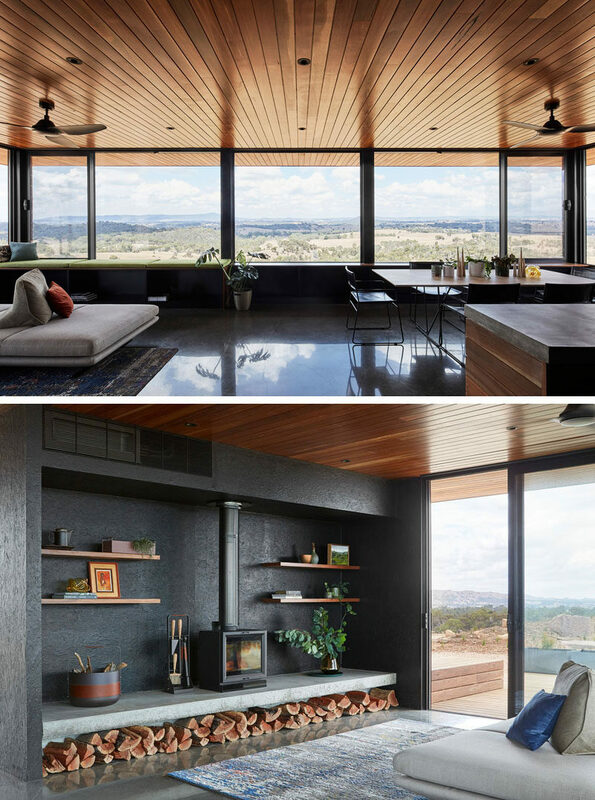 Situated on the ridge-line of a hill, the site has stunning views, but is also subject to the harshest of the Australian elements – sun, wind, and the ever-present threat of bushfire. 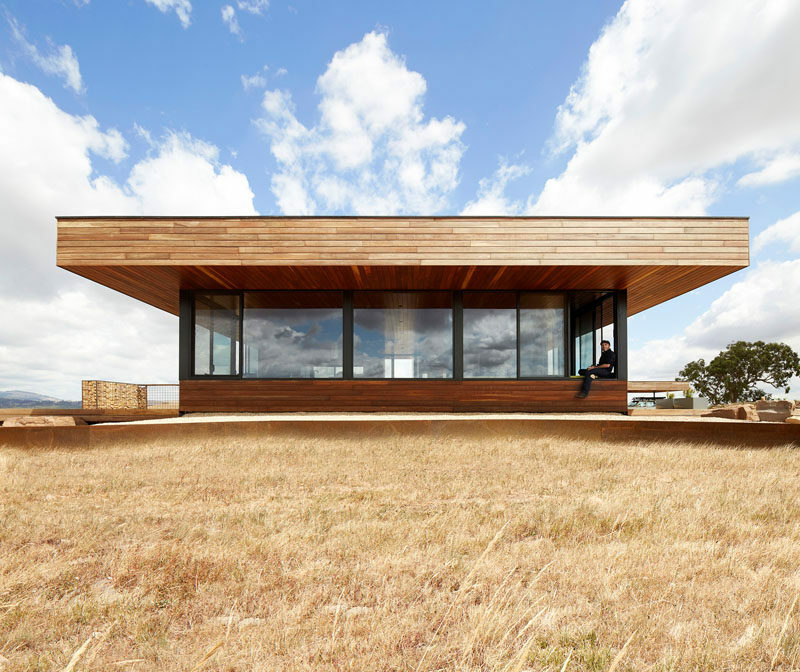 The entire exterior of the house is spotted gum timber, an Australian hardwood that’s so durable it meets the bushfire requirements and does not need ongoing maintenance. The wood will also gracefully age, changing from brown to grey. 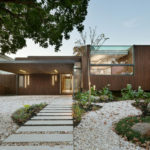 The large canopy overhangs and eaves are deep, allowing the home to be protected against the sun and winds. Inside the home, palette is dark and moody, with wood, dark materials, and concrete heavily featured. 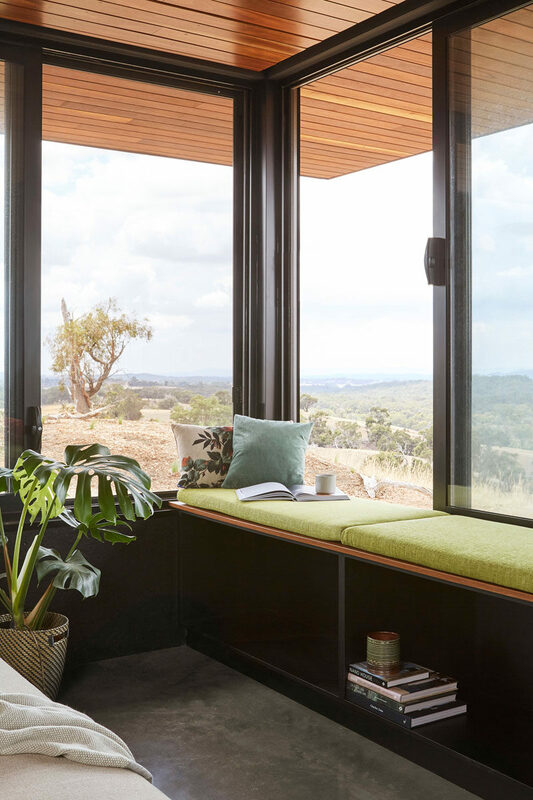 A wall of windows adds natural light to the open-plan social areas of the house, and a built-in window seat allows a restful place to enjoy the views. 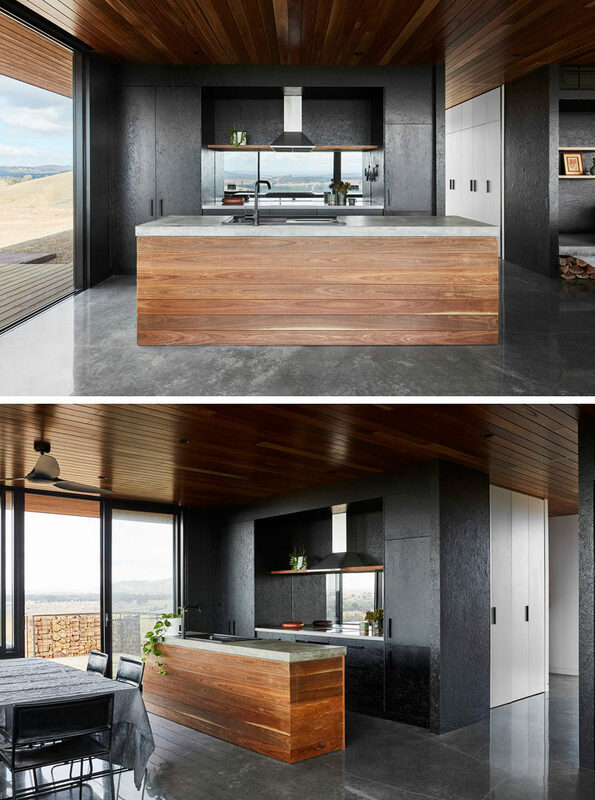 Spotted gum has also been used on the ceiling and for the cabinetry throughout the home, while oriented strand board (OSB) bracing is appropriated as wall lining and cupboard fronts. 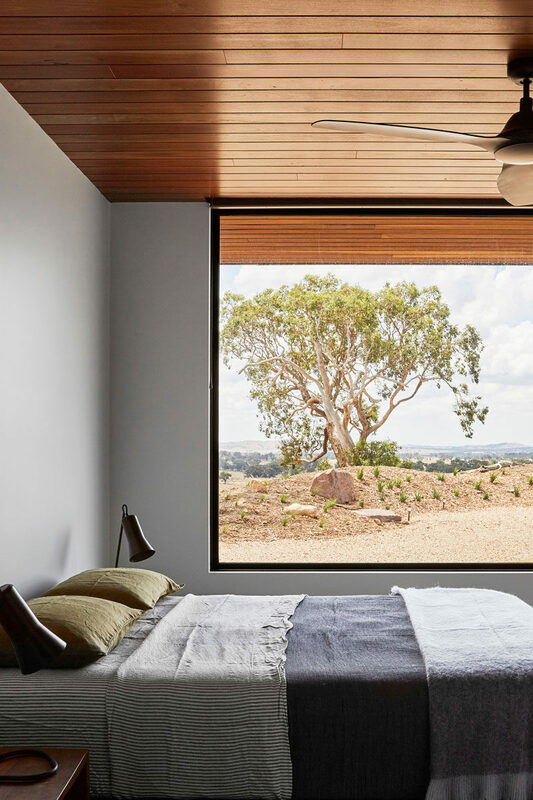 In the bedroom, a large picture window perfectly frames the tree and landscape outside. 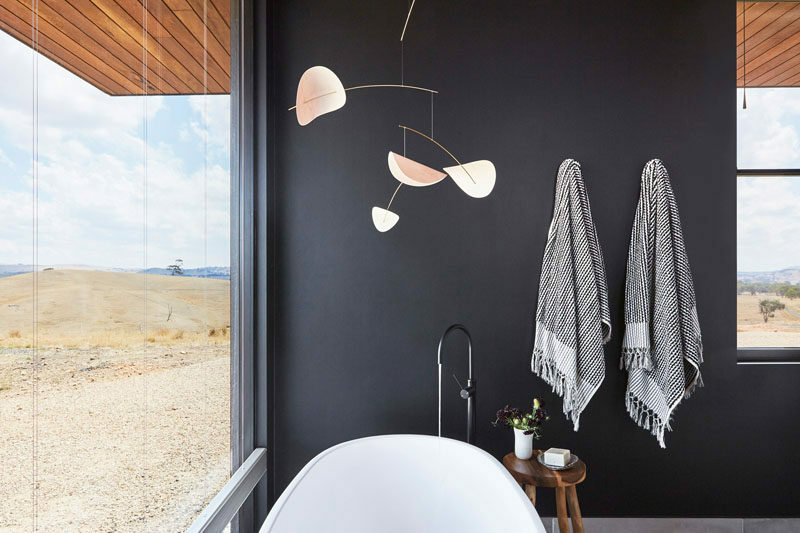 In the bathroom, dark walls contrast the freestanding white bathtub, and allow the natural views to be the focus of the room.